Be advised we are NOW taking bookings now for 2019 as a lot of schools have already been given their dates and in fact the more popular start times have been sold out. We have Communion entertainment ideas for 2019 that will provide long lasting memories of your child’s First Holy Communion. These memories are some of the strongest that our children will have. Holy Communions have become a very important family event just like weddings and Christmas. It is another big occasion where a huge effort is made to get the entire family and close friends together. Our Communion packages (see below) are designed to bring together all age ranges offering laughs for everyone. We have block booked excellent communion entertainers for 2018 and most will be basing themselves in the greater Dublin area due to the number of parties. We are known for supplying these wonderful, professional and experienced kids entertainers and this means a lot of happy customers a lot of referrals and repeat business. We expect to be very busy again, especially going by the number of inquiries and bookings already! 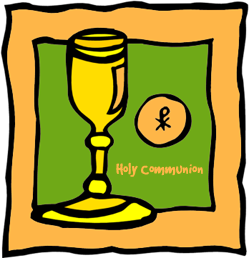 We have three prime time slots for each Holy Communion Saturday and Sunday in order to cater for as many children as possible. These are identified in Table 1 below. Our communion entertainment ideas, along with prices and duration are listed in Table 2. Check out our entertainer videos on YouTube, our photo gallery, updates on Facebook and Twitter and also many testimonials. As most of our entertainers are locating themselves in Dublin over these weekends, please contact us for start times outside of Dublin and for probable petrol and toll levy details. Really Grand Events will email you your booking confirmation number and agreed party details. You must supply an email address. No booking shall be deemed confirmed without this email. It is important that the entertainer is able to park their car adjacent to the party venue, as they will have equipment to bring in. It is also important that no one blocks in the entertainer after the party. Should this happen, it will involve a shorter performance time, with no package price reduction. The above prices cover private Communion parties of up to 20 children. Really Grand Events will advise you of your booking confirmation number once the deposit has been received. We will advise all entertainer details within 7 days of your party. Credit cards details will be taken upon booking confirmation. This is to cover a deposit of €60. Be advised though, this deposit will only be charged should you have to cancel your booking LESS THAN 30 days before your event. There will be no depost charged should you either (a) NOT cancel your booking or (b) cancel your greater than 31 days before your event. There have been times where clients do not call us back or acknowledge when we are trying to inform them of their entertainer and final party details. Should this occur within 30 days of the event, we will deem this party cancelled and charge for the deposit as per note (5) above. Please allow for suitable setup time and area depending on the package booked. We are unable to provide any Puppet Show parties or any of our other packages not identified above. This due to timely costume changes and/or equipment set up and take down times. If the client is responsible for any delays to the agreed start time or during the party, we reserve the right to curtail the performance duration, should our entertainer be required at another party on the same day. It is the responsibility of the adult(s) in charge to supervise the children at all times to ensure their safety and to comply with the Children’s First Bill of 2012. It is also the responsibility of the adult(s) in charge to supervise the ADULTS at all time! No groups of chatting parents trying to be heard over the entertainer. Remember we can always turn the amplifier up to “11”….but this is not good for the children, so parents please do not spoil it for them. Keep it quite during their show please. We have full public and employee Liability cover and are Tax Compliant. We cover mainly the greater Dublin area at this time of the year and have limited availability elsewhere in the country. Please contact us for more details. These packages are for private parties only. Hotels and other venues wishing to provide these packages on the above dates, please contact us for a quote. Many thanks for checking out our website and we hope that there is something here that appeals to you. If not, please feel free to contact us.